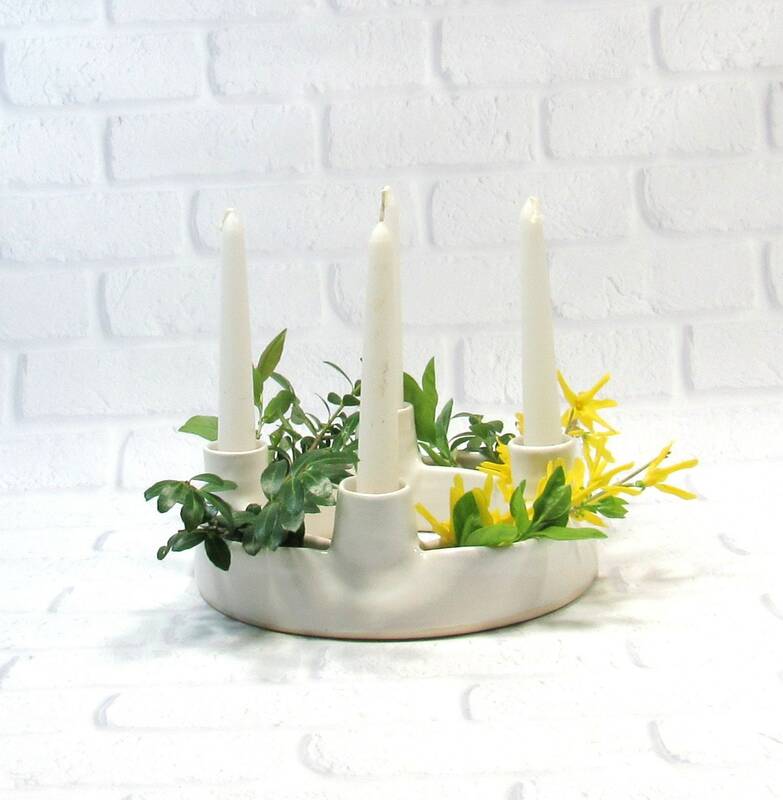 No need to save your Advent wreath for the winter holidays, use it also as a part of your Spring decor as a lovely centerpiece. 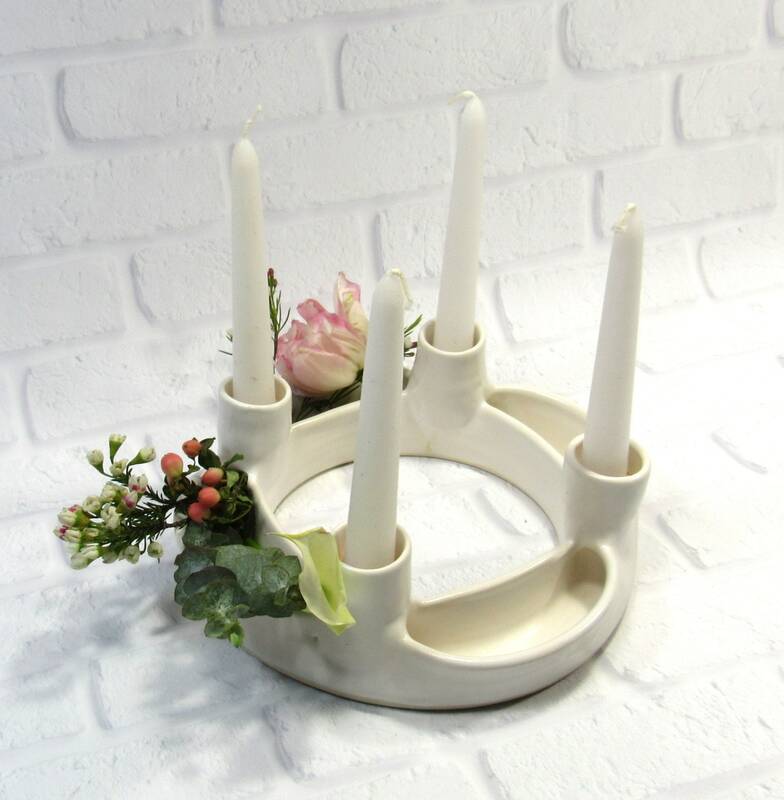 Arrange short-stemmed flowers or greenery in the posy ring surrounding four candles. 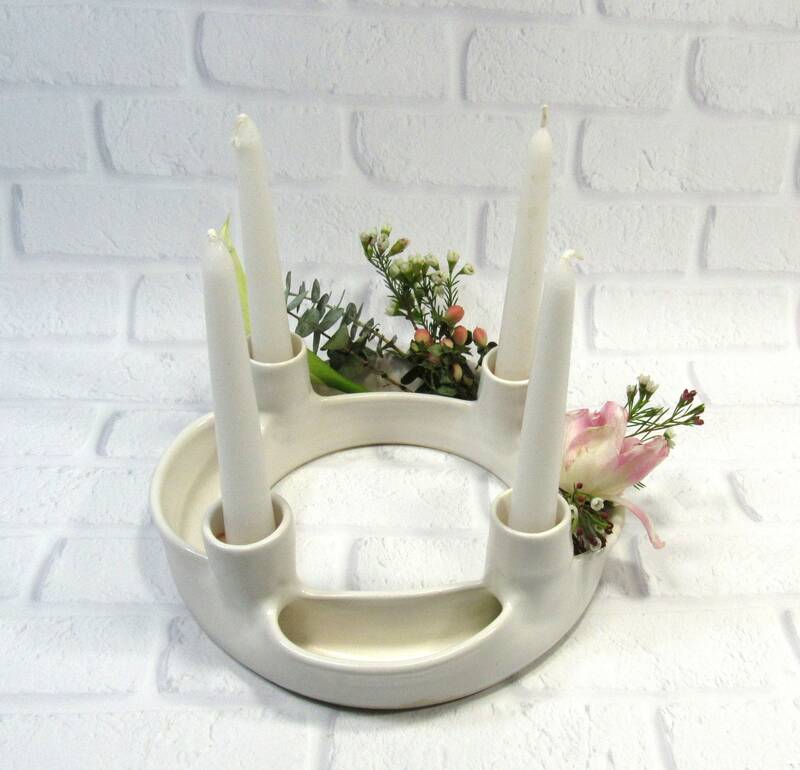 This Spring wreath is 8.75 inches in diameter and 3 inches tall to the top of the candle holders. 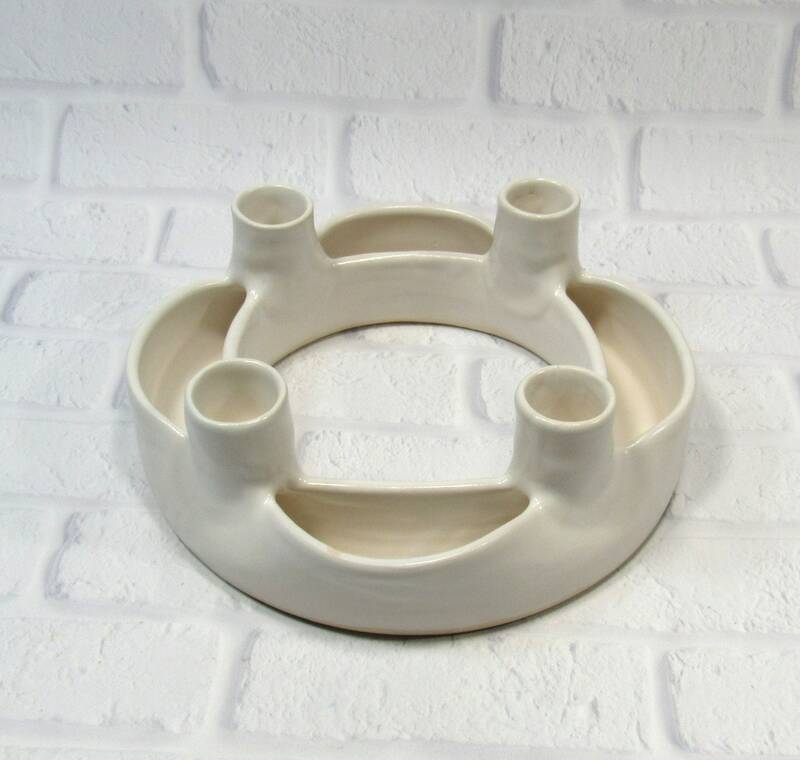 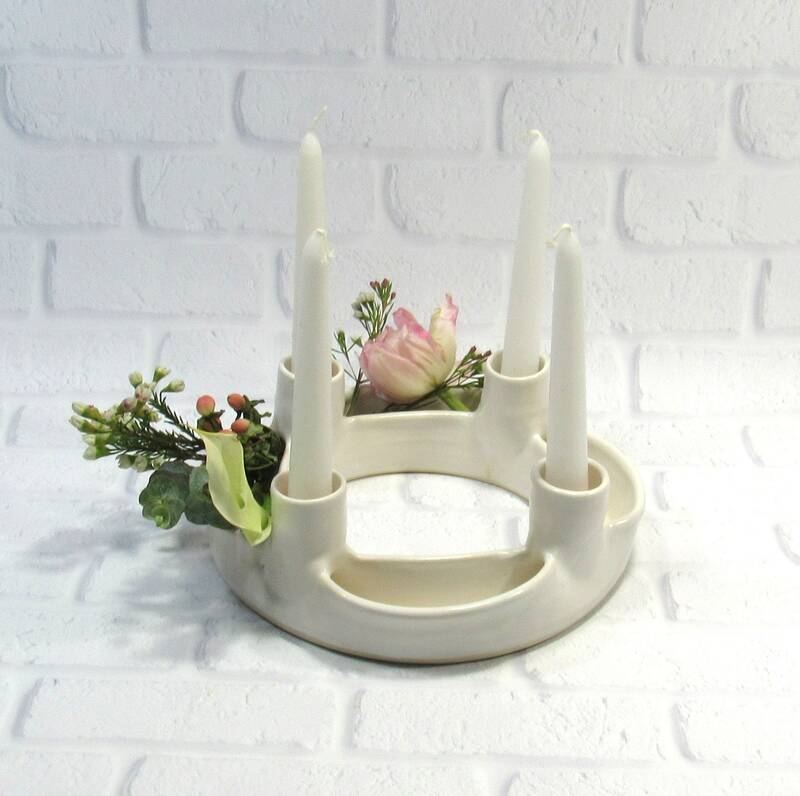 The ring flower holder is 1.25 inch deep. 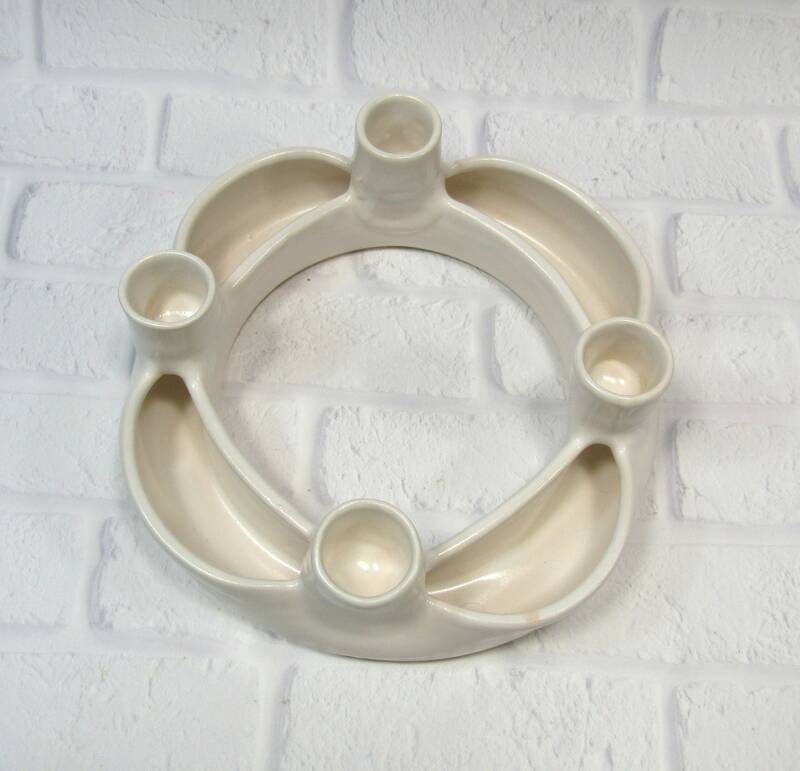 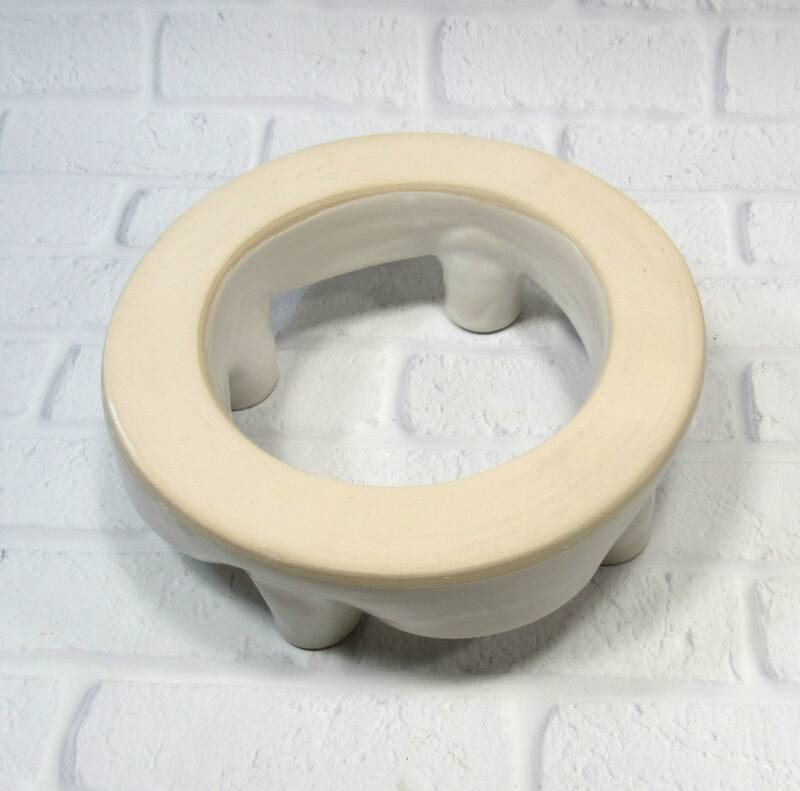 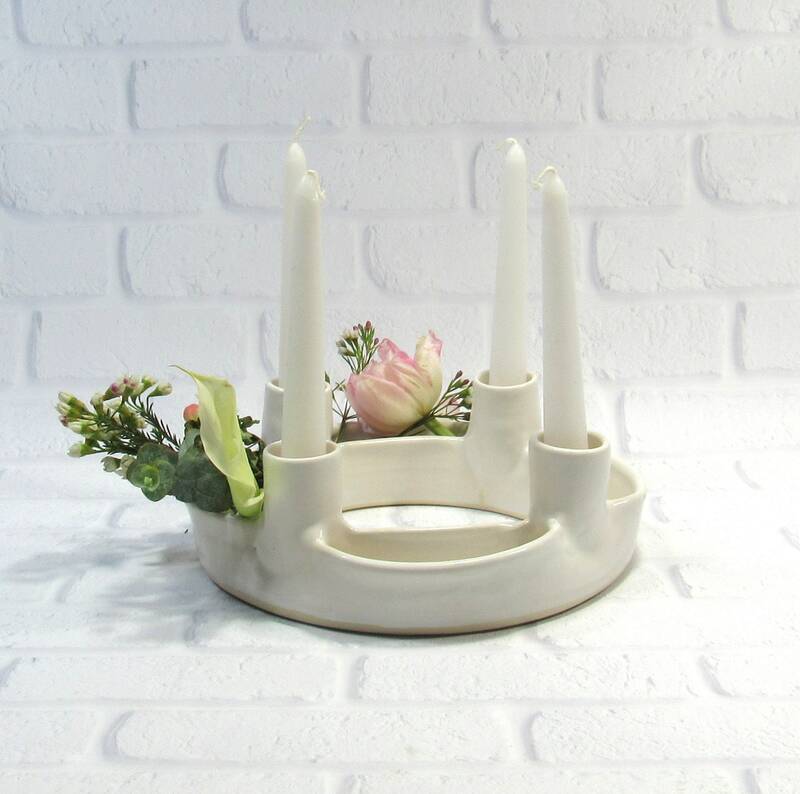 The candle holders are 1 inch in diameter and 1.25 inch deep. 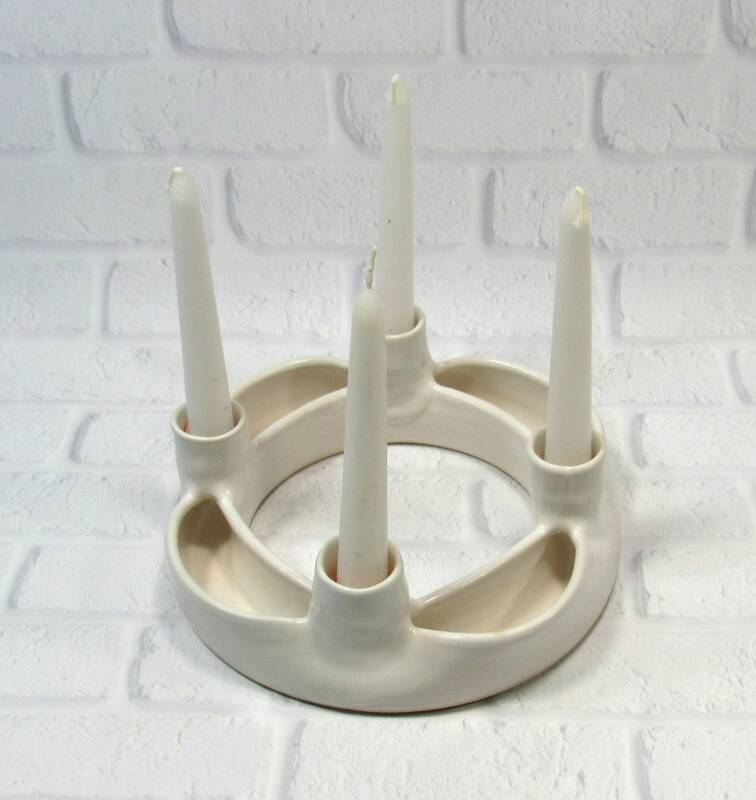 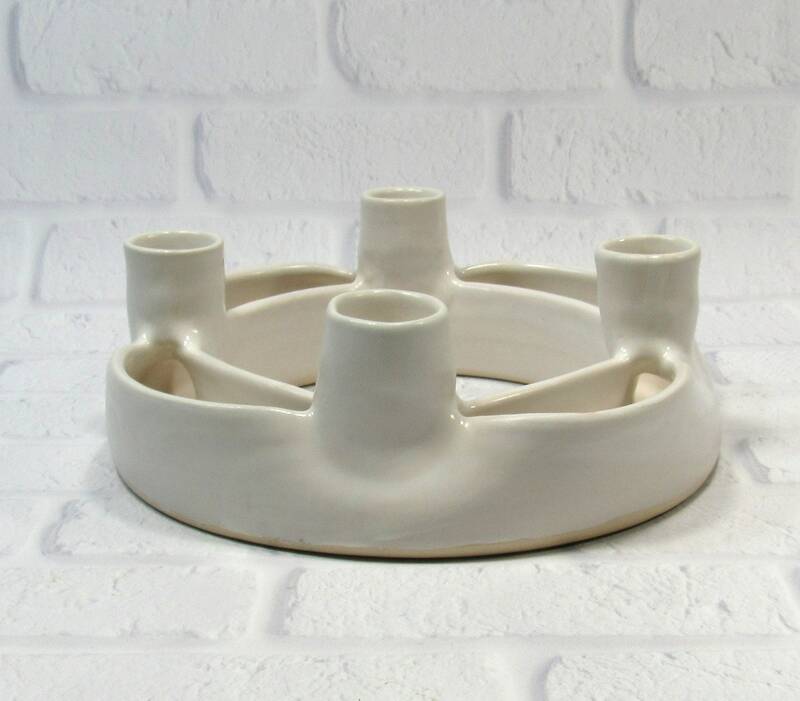 I made this ring form on the potter's wheel and later added the candle holders.